We all know that the sinks main function is to provide a space, for example, to wash your dishes and brush your teeth, all the while, directing wastewater out into the main drain system of you home or business. However most people are not only concerned about functionality, but also the esthetic they offer to your kitchen and bathroom designs. There is any number of reasons your sink can stop working effectively. A leaky or broken sink can cause more than a little water damage… Sinks can crack, erode, or need replacement for many reasons. Maybe the fittings are loose? It is possible that the sink or drainage pipes were never installed correctly. Whatever the reason, water accumulating from a leaking sink can create an atmosphere where mold and rot can cause significant damage. At the first signs of problems it is important to call a plumber in to inspect the damage and make recommendations about the repair and replacement that is needed. At DJ Plumbing & Heating our plumbing experts are well versed in sink, drain, and pipe, replacement and repairs. Give us a call today, 778-227-1119 or email us at info@djplumbing.ca to book an appointment and to arrange for a detailed estimate. Click Here to Request a Plumber or call 778-227-1119 for 24 hour emergency service. It’s Time to Replace Those Outdated Sinks and Fixtures. Which Model Should I Choose? 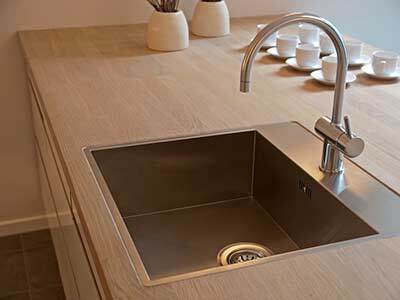 From installing your new sink, to providing advice on the products available from today’s leading sink manufacturers, DJ Plumbing & Heating has got everything you need… but the kitchen sink. The experts at DJ Plumbing & Heatinghave been installing sinks for more than two decades. Give us a call today and one of our staff will be happy to discuss the installation services we provide and to give advice on the products available to meet your needs and budget. We service the areas around the Lower Mainland including but not limited to Vancouver, Burnaby, Tri-Cities/ Coquitlam, Port Coquitlam, Port Moody, Pitt Meadows, New Westminster, North Vancouver and West Vancouver. 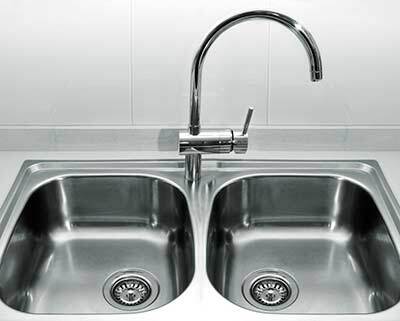 Single Bowl Sinks: Single bowl are characterized by having, you guessed it one basin. The sinks are sometimes available in compact sizes, making them ideal for situations where space is at a premium. A larger designed basin can make ease of cleaning large dishes such as pots, casseroles and oven trays. Double Bowl Designs: In many cases, a double basin arrangement is ideal because of the flexibility it offers the user. These sinks come in a wide array of configurations, for example; two equally sized bowls of the same depth, two equal bowls of different depths and unequal sized variations. The right setup for you will depend on what you do in your kitchen. Farmhouse Style: The defining characteristic of a farmhouse sink is the large forward-facing section that replaces a section of the counter. This model is available in single and double basin varieties. While stylish, farm sinks tend to be on the pricey side and often require much more work to install than other models. In many cases, the counter must be designed specifically to accommodate the installation. Top-Mount: Top mounted sinks are designed to be dropped into a hole cut into your countertop and have a rim or lip that hold the sink in place. The lip of the sink reduces the need for an internal support system under the counter, and is often the most affordable model to install. Under-Mount: This sink is mounted underneath the counter. There is no lip, which means that the edge of counter drops off directly into the sinks basin creating a clean and modern look. Under-mount models require additional labor to install because the sink must be glued to the underside of the counter and an internal support system to hold the sink in place. Today the average consumer has huge selection of beautifully designed sinks to choose from. When its time to upgrade your kitchen or bathroom and choose the right sink to complete your design, there are several options to choose from. Stainless steel and porcelain-coated sinks are the most common and widely used due to their classic appeal and affordability. If you’re thinking about upgrading your faucets we can help you with that too. 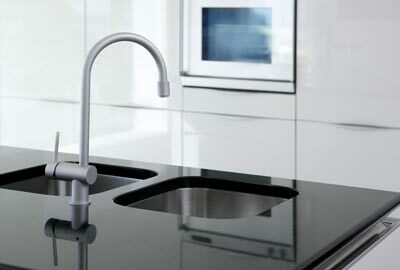 Today, sink manufactures are creating modern products that are made using an array of materials. Sinks made using glass, granite, marble, and copper are just a few of the more exotic examples to choose from. If you’re considering one of these less conventional products, it is good idea to do your homework to avoid buying a sink that has durability or maintenance issues. Ultimately you want to find a model that looks great, provides the functionality you need, and can offer the greatest longevity. Having a difficult time making a decision? Need some additional information about the challenges you might face when choosing a specific model or design for your renovation? Give us a call 778-227-1119 or email us info@djplumbing.ca and ask about our In Home Consultation Services.